Relief for Milk-Sensitive Stomachs: a2 Milk® — Pip and Ebby - easy, delicious recipes! 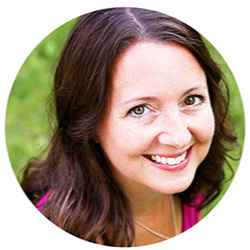 Before I dive into this exciting product, I have to share that there is a chance to win a $100 Visa gift card if you read through to the end of this post! Just in time for the holidays! 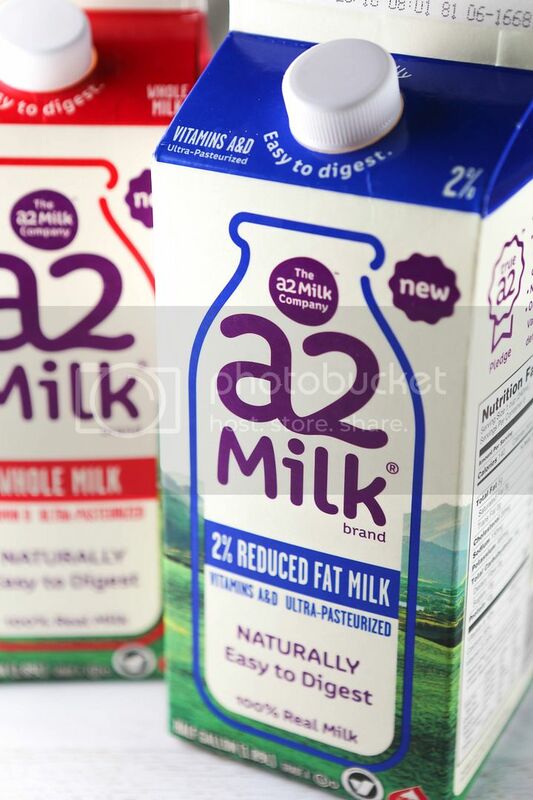 I was so excited to hear about a2 Milk®, you guys. You see: my nine-year-old craves dairy. He practically sweats milk. He could consume dairy products all day every day and never tire of them. Milk is the first thing he asks for in the morning and the last thing he asks for before bed. There are stretches of time, though, when dairy does not agree with his stomach. During these stretches, we either remove or cut way back on dairy in order to relieve his tummy distress. But this is killer for him! He asks for milk constantly and we have to tell him no. Many people will tell you that all milk is the same, but guess what? It's not! Hundreds of years ago, cows produced milk that was naturally rich in the A2 protein type, but over time other proteins such as the A1 protein type began appearing in milk. The majority of the milk we consume today has a combination of both A1 and A2 protein types. Research has been done all around the world that reveals by drinking nature's original a2 Milk®; we are drinking real and natural milk that is easier for people to digest. The a2 Milk Company™ has developed a safe way to select cows that naturally produce milk that is rich in the A2 protein type and completely free from all A1. This was music to my ears as the mom of a dairy-sensitive, dairy-loving child. About a week ago I began replacing the milk I normally give to my boys with a2 Milk®. My dairy-sensitive son has experienced zero bouts of stomach pain and has had zero bad experiences in the bathroom since the replacement was made. This is a big deal not only for him, but for my husband and me, as well. His tummy issues can be largely disruptive in ways that are no fun to talk about. The a2 Milk Company™ is progressive and credible[JR2] . They are able to challenge convention with facts and integrity and is locally produced at family owned and sustainably operated farms, and also hormone, rBST, Anitbiotic free. They are passionate and enthusiastic about sharing their products with the world. This milk can change lives, you guys. If you or anyone you know has a dairy sensitivity or intolerance, then you understand how limiting and at times embarrassing it can be. This product is a viable option for those who limit or even completely go without milk and all of the goodness it brings. You can learn more at the a2 Milk® site. If you're interested in trying the milk, you can get your very own coupon here. It is available in some Target stores, Whole Foods (in California, as well as some across the country), Publix (in Florida) and other major markets nationwide. Don't forget to visit a2 Milk® on Facebook, Twitter, Instagram, and Pinterest! Now for the giveaway! Leave a note in the comments answering one or all of the following questions for a chance to win a $100 Visa gift card! Do you know someone who could benefit from this product or who suffers from dairy sensitivities? If not, tell me about a different food allergy or sensitivity that affects you or a loved one. Good luck and thank you for reading! I hope you find as much value in this milk as my family does! This sweepstakes runs from 12/5/2016 - 1/5/2017.